There’s no denying it: dogs will find a way to get themselves dirty! Luckily, we’ve found a great new solution for keeping your furbaby looking fresh – Metro Wipes from MetroPaws. These high-quality dog wipes are a non-toxic, cruelty-free product that pairs perfectly with a messy pooch! As dog owners ourselves, we know how hard it can be to clean up a pup with a towel or wet cloth; the way dogs manage to get dirt in all their crevices, water alone leaves a lot to be desired when it comes to getting a dog’s fur ick-free. With cleansing ingredients, these wipes are a great way to rid your dog of grime and mess! What we truly appreciate about these wipes are that they were created with canines in mind. Thicker and softer than other wipes, each Metro Wipe is 8 x 8 inches in size, large enough to cover a lot of doggy surface area. Alcohol and paraben free with natural, detoxifying ingredients, you can use these wonderful moist cloths wherever your pup would benefit from a wipe down: muddy paws, messy ears, a tushie in need, you name it! With one hundred wipes per pack, there’s plenty for your pooch to use and a few for your own hands, too (we keep using them on ourselves after wiping down a dog in the office, and they leave our hands feeling soft and refreshed!). For a fresh scent on top of a great clean, check out the Charcoal Peppermint Scented version – it’s a delight to the senses. Looking for a healthy, tasty Christmas treat for your dog this holiday? Look no further! With only one week until Christmas, we know you are making your shopping list and checking it twice. 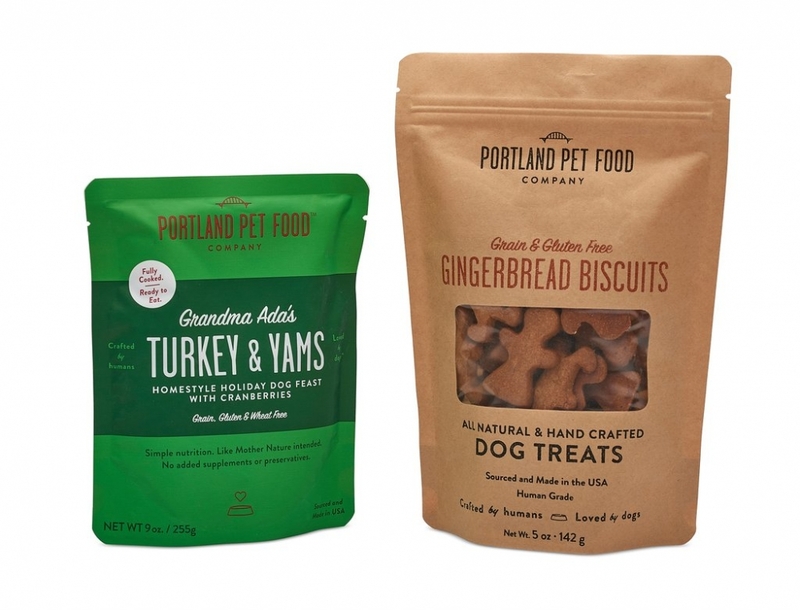 If you are still having trouble finding a gift for your pampered pooch, we here at Modern Dog recommend that you try Portland Pet Food Company's’ Holiday Pack as a last minute gift idea. Featuring Grandma Ada’s Turkey & Yams Meal Pouch and Grain & Gluten-Free Gingerbread Biscuits, your dog will be wolfing these treats down! 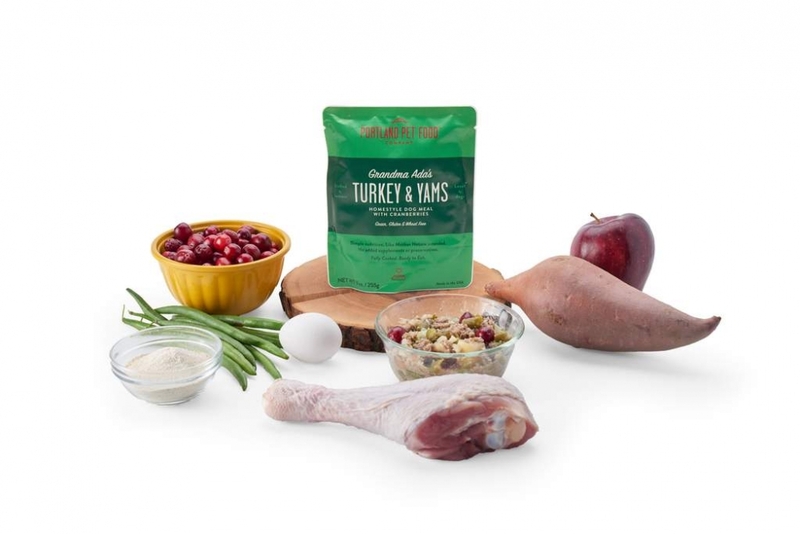 We love that 100% of the ingredients in Grandma Ada’s Turkey & Yams Meal Pouch are approved for human consumption and that the turkey is USDA certified. It contains no meat by-products, preservatives, artificial colors and flavors, or supplements. It’s a healthy way to add a little variety to your dog’s usual diet. You can serve it to your pup as a rotational meal, soft treat or a meal topper. You can also serve it directly from the pouch or warm it up in the microwave for 15-30 seconds. 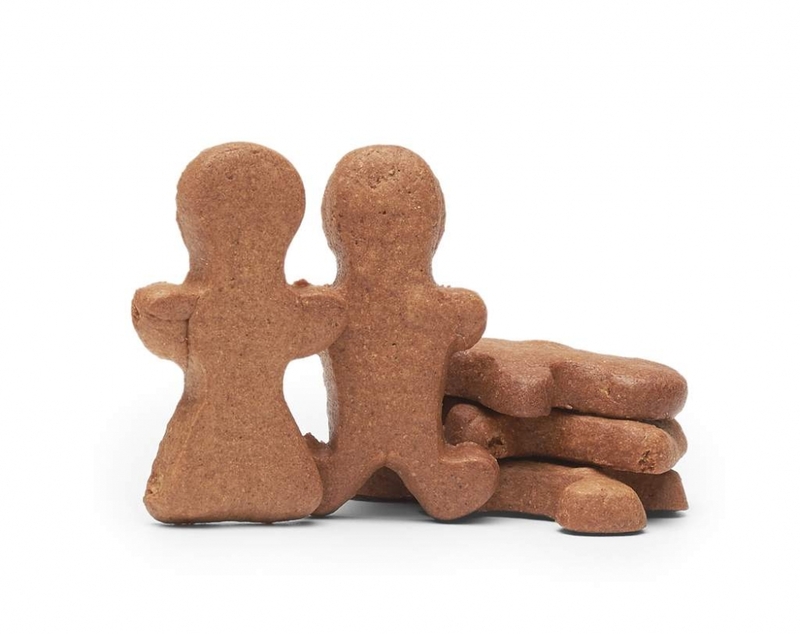 After your pup enjoys their meal pouch, they can snack on the Grain & Gluten-free Gingerbread Biscuits for dessert! (But we here at Modern Dog think it is a great snack at any time of the day.) These yummy biscuits are made using grain and gluten-free garbanzo bean flour and blended with ginger and cloves. It is all natural, with no added preservatives or additives and is especially great for dogs with allergies! It’s a delicious holiday treat that your pup will love! Winter has arrived, and that means it’s time to protect chilly pups from the frost! Here at Modern Dog we can’t get enough of the Snood by Gold Paw Series (we also can’t get enough of saying Snood). Fuzzy, cozy, and built for unbeatable heat retention, this reversible neck warmer is the perfect solution for dogs that get chills in winter weather. 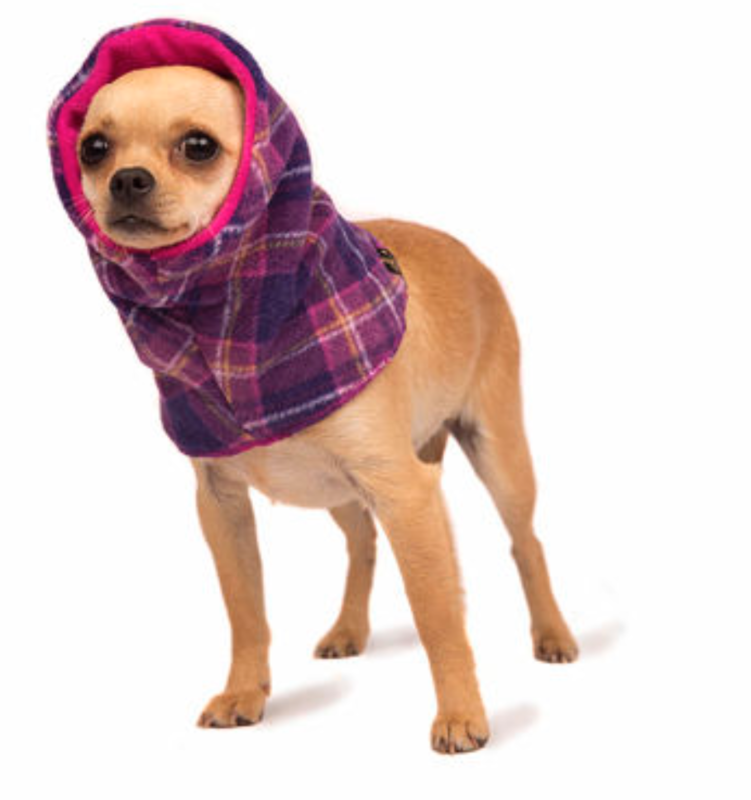 It provides extra warmth for the neck and ears to keep your dog feeling delightful no matter the temperature! Although its primary purpose is to protect dogs from the cold, we’ve also found that it’s a great multi-use tool – it muffles loud noises for dogs that are anxious around high volumes, and it’s great for tucking away long ears while your pooch chows down on dinner. Our favourite part? Family run for over 20 years, Gold Paw Series places a strong focus on sustainability, and the materials that make up these toasty warmers are made in the USA out of recycled materials. We know what it’s like to have a dog in the house – with all the fur, dirt, and grime pups can track into our homes, keeping the place clean can feel impossible! When it comes to vacuuming, the Dyson Cyclone v10 Absolute is a powerful tool we here at Modern Dog trust to free our homes from the reign of fur, dirt, and dander. 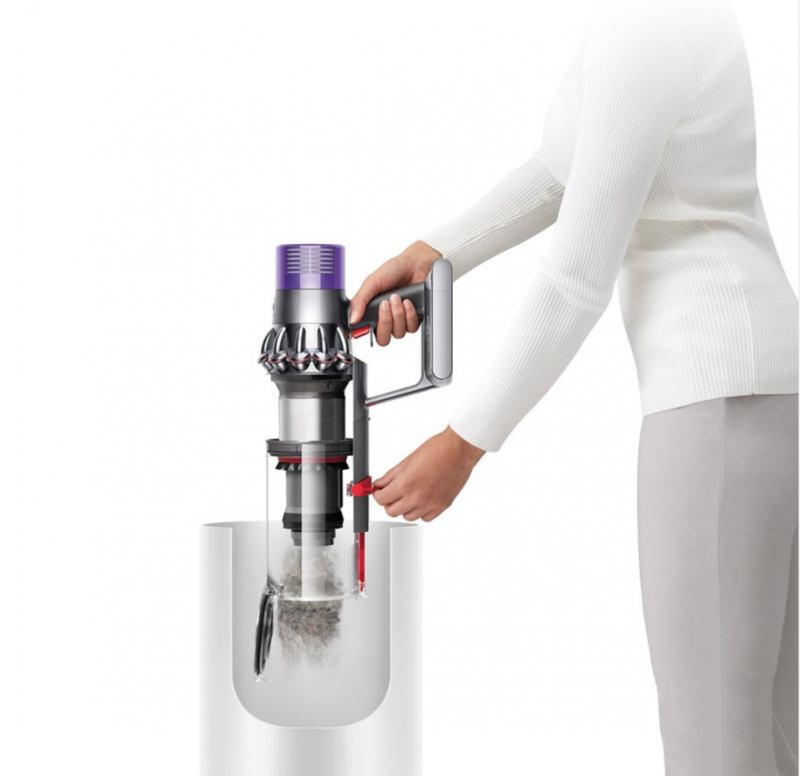 Although Dyson is known for its powerful suction, we think it should also be known for its thoughtful, practical design. 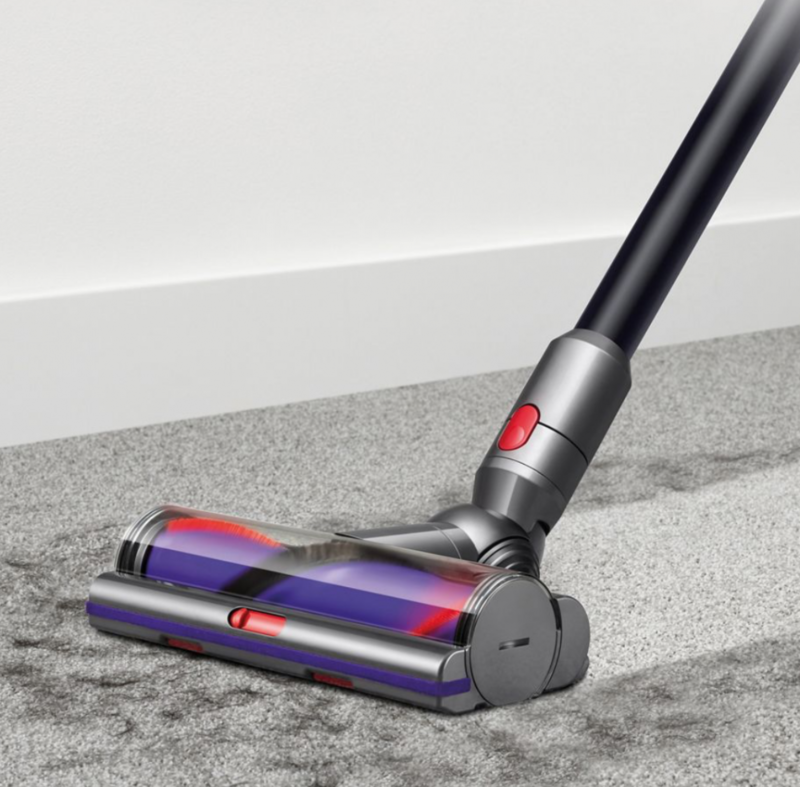 This vacuum is amazingly lightweight, easy to manoeuver, and can transform into a handheld model to use in cars, along stairs, and with upholstery. 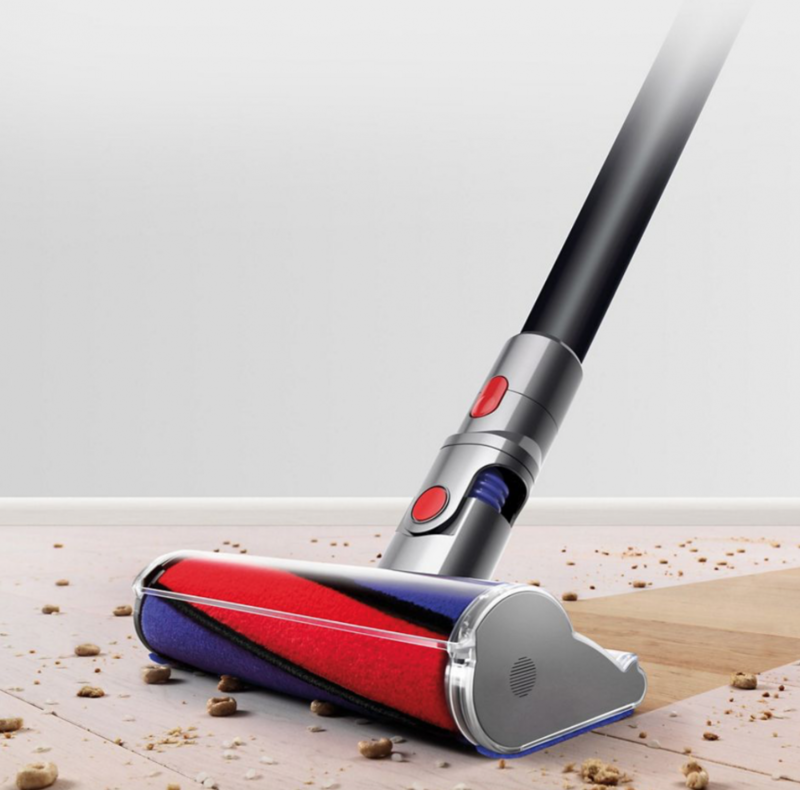 With an additional soft roller head to use on hardwood floors and detail tools built to accommodate difficult crevices and sensitive materials, this vacuum is a versatile tool that can help you to clean nearly every surface in your home. This product was designed with both cleaning power and convenience in mind – it includes a 40% larger bin in comparison to older models, and also features over 60 minutes of run time through its long-lasting battery, allowing you ample time to vacuum. Perhaps the most useful feature for dog lovers? Its impressively quiet suction allows you to vacuum without disturbing your dog with overwhelming noise. Your dog's new favourite accessory. 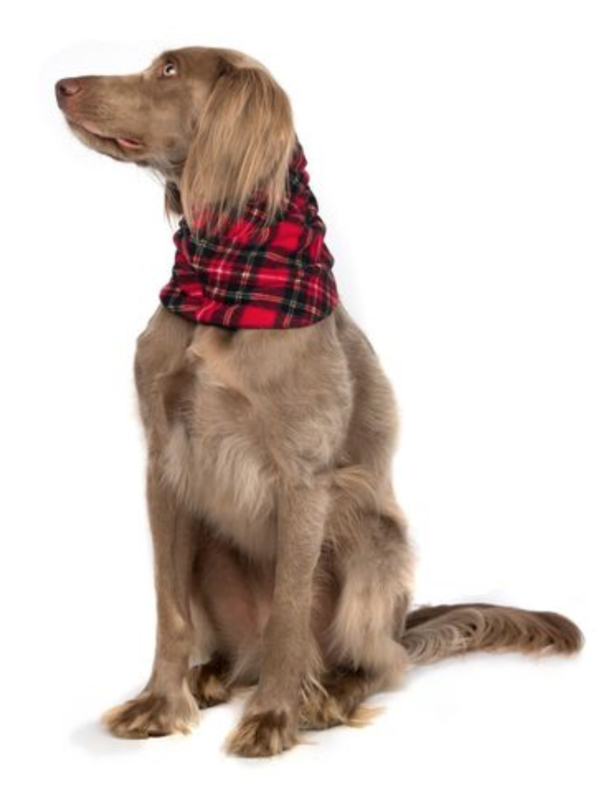 Trea t yourself to a gorgeously decked out dog this holiday season! 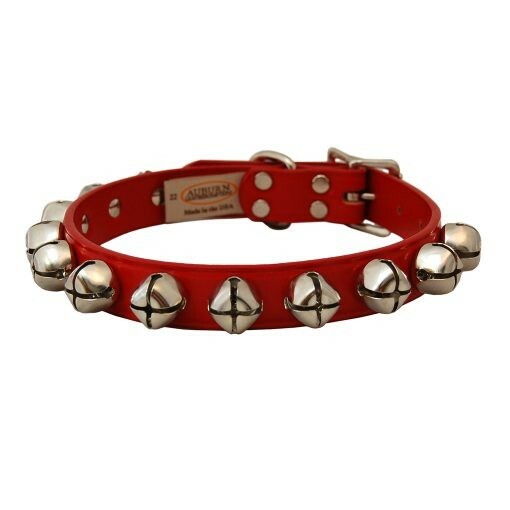 With Auburn Leathercrafters’ wonderful selection of leather dog collars, you’ll be s ure to find a piece that will have your dog feeling fine and looking festive. If you’re pup is too sophisticated for overt holly jolly wear, these Manhattan Patent Leather Collars will have your pup looking ready for the catwalk (or more likely, his next dog walk). 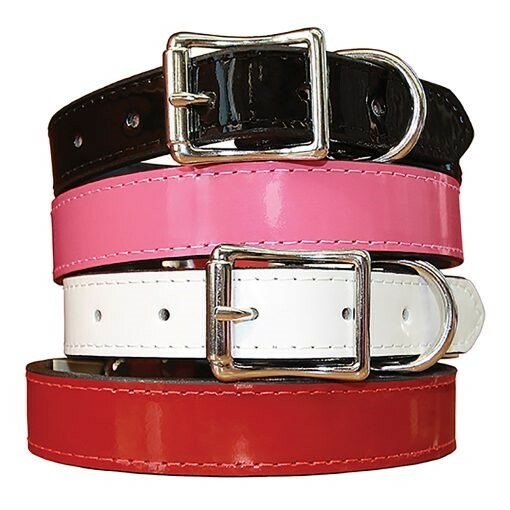 Glamorous, bright, and beautiful, these collars are both stylish and durable – pick from a colour selection of red, pink, white or black, all with a contrasting black bridle leather lining and beveled, hand polished edges. Want to give your dog’s ensemble a polished look? 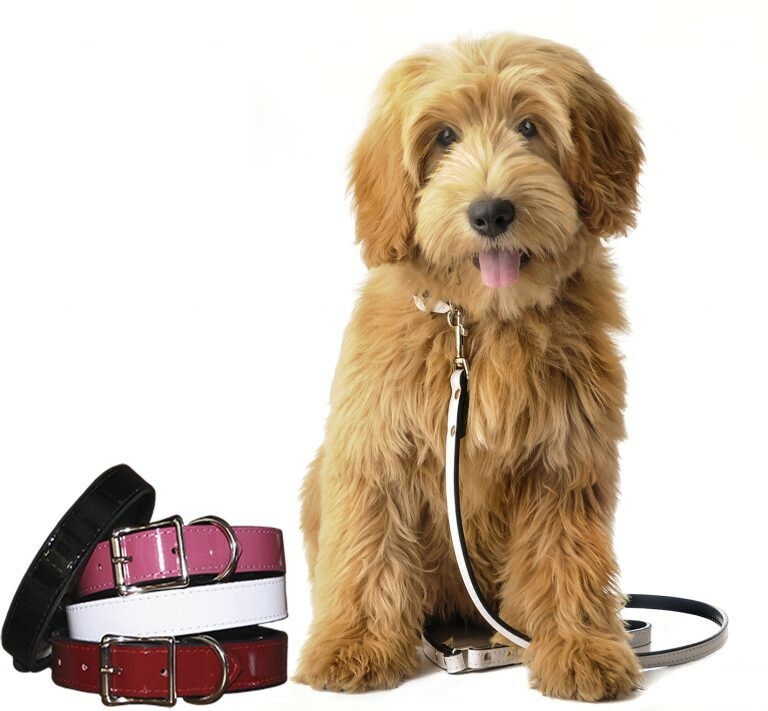 Check out this matching line of leashes!